Pinakbet or Pakbet is a vegetable Filipino recipe that my hubby loves to eat. He’s the type of person who likes to eat any kind of food recipes that contain vegetables. Growing up until I met my husband, I am very picky when it comes with vegetables in my diet. My husband encourage me to eat vegetables until I Slowly learned to appreciate and love the taste of vegetables like this filipino pinakbet. I remember when we are still dating, he always choose food dishes with vegetables in our restaurant dinner. He didn’t know that I’m picky with veggies but I just force myself to ate them or else I’ll get hungry. It sounds funny but its true. Being with him and the type of food he eats, I have no choice but to learn to love vegetable dishes like this Pinakbet. Learning on things that my husband loves especially on foods is what I’ve improved most. As the saying goes- “The way to a man’s heart is through his stomach”. Here in Canada, I’ve learn more vegetables recipes because any ingredient mention in a recipe book you can buy and affordable. 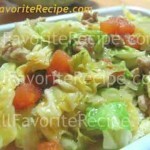 Here’s some of the Filipino food dish that I like: Pork Chopsuey, Repolyo Guisado (Sautéed Cabbage), Togue Guisado (Sautéed Bean Sprouts), and Sayote Guisado (Sautéed Chayote) . Thank God that there are Asian stores near our place where we can find some of our vegetables grown back home and of course I use alternative if I can’t find one. In a large, deep skillet (or casserole), heat oil over medium heat. Cook pork until it turns slightly brown. Stir in garlic, onions and tomatoes. Sauté for a few minutes until tomatoes wilted. Add squash and okra, stir-fry for a minute or two and then add the rest of the vegetables. Gently stir to combine. Pour in water and add the bagoong alamang, and bring to a boil. 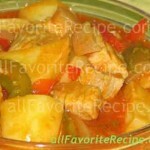 Lower the heat and simmer covered over low heat until vegetables are tender. Be sure not to overcook it. You may wish to correct the taste by adding a little bit of bagoong alamang. Gently stir to blend. Immediately remove from heat. Transfer to a serving dish. Serve hot. 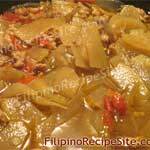 Though I have not cooked pinakbet, I love the taste and know how to cook it, which I did in my homeland. I happened to give my comment to one of the family member in Phil. to share her the right cooking Pinakbet. 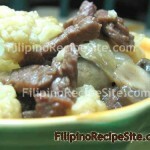 Also, thanks that filipinorecipesite.com shares to us Filipinos all over the world the know how and the good cuisine we have. Naimas, yes. What i love about pinakbet or dinengdeng is that it is basically a vegetable dish and just about any group of vegetables will work. 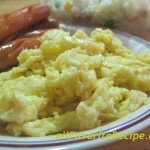 For those that are true vegetarians you can do without the meat and bagoong or shrimp sauce and just use salt. Don’t use soy sauce as it gives a truely different taste. Of course you can’t beat the taste that the bagoong gives to the dish but use of salt instead does work. 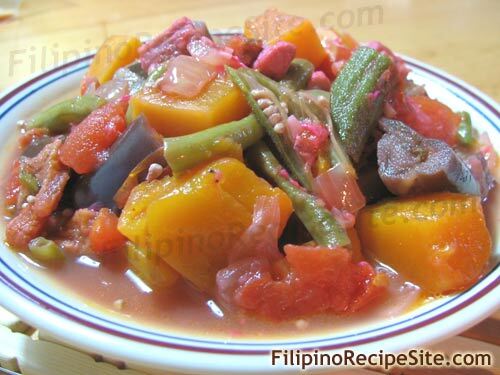 Pinakbet can also be made with fish or shrimp or prawns. Pork is the usual meat used.